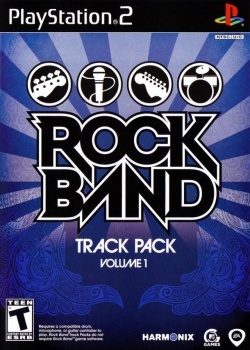 Game description: A fully functional game with all the great features of Rock Band, including: Solo and Band Tour Mode, Quickplay, Tug of War, Score Dual, and song unlock progression. Game detects input as controller, even when LilyPad is configured as a guitar, which causes the game to be unable to get past main menu. USA v02.20(10/02/2006) Unchanged, needs special USB Plugins to play. USA v02.00(14/06/2004) If the game reports that a controller is missing, check your LilyPad configuration! Changes made to LilyPad while the game is running will not apply unless it is restarted. This page was last edited on 21 January 2017, at 13:35.